Milos is an island of amazing, wild natural beauty with arguably the best beaches in Greece. Part of its own little archipelago, together with the small pristine islands of Kimolos, Polyegos, and Andimilos, it occupies the southwestern part of one of the most beautiful spots in the world - the Cyclades. The village of Tripiti, birthplace of Venus de Milo, sits on the fringes of the ancient city, a short stroll from the catacombs and the ancient theatre. 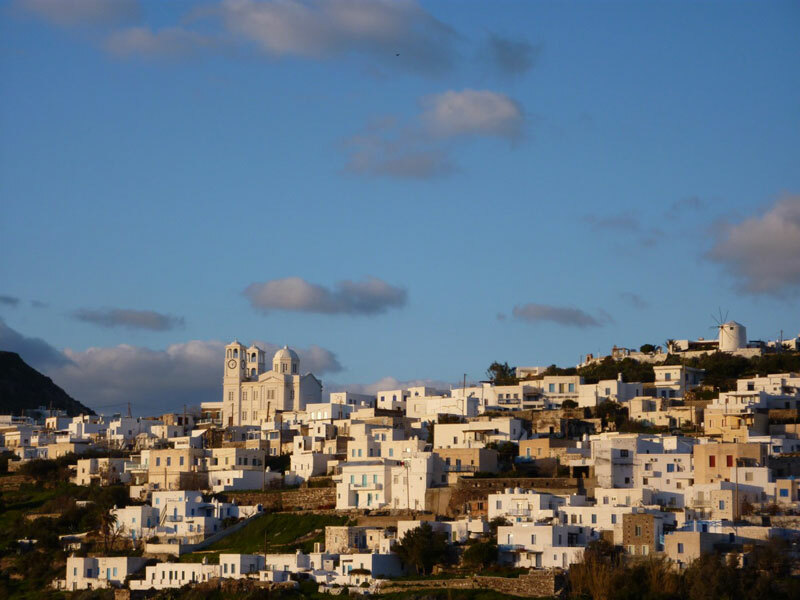 Positioned high up on the hills, like most traditional villages in the Cyclades, it affords spectacular views of the island, the sea and the sunset. It retains, however, the village character lost to so many other villages in more developed islands. There is still a gathering of black clad women flocking to St. Nicholasʼchurch, just above the house on Sunday morning, the roosters call at dawn and the old men gather at dusk to discuss the days events in the main square watching the sun fall behind the desert island of Andimilos.